German boat build Bavaria has launched their newest accomplishment, the limited edition Sport 38 High Line. The sports cruiser offers a maximum amount of luxury and comfort for her size and comes in series with a silk-grey hull, giving the boat an even more elegant appearance. Premium materials are used throughout the cruiser and coupled with its sea going cruiser attributes, you have a perfect companion for summer cruising. 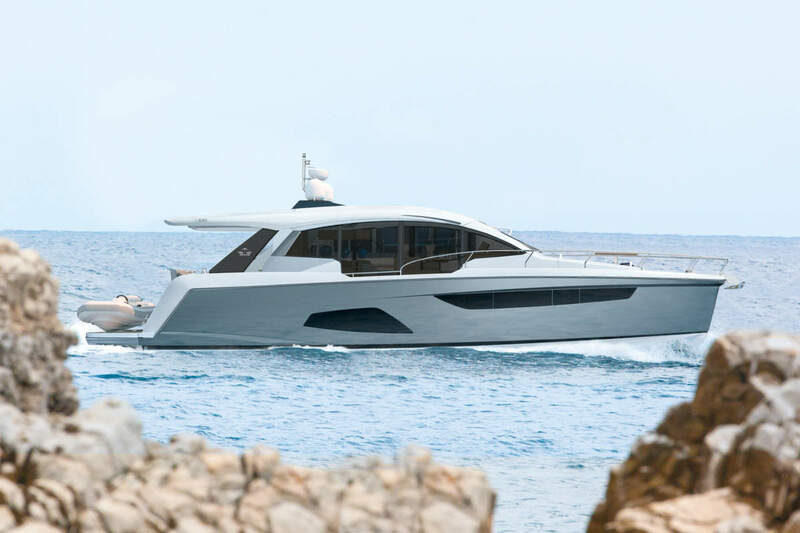 Besides the new, exclusive features, Bavaria have announced that they will only produce 15 of the Sport 38 High Line edition making this an interesting collector cruiser. 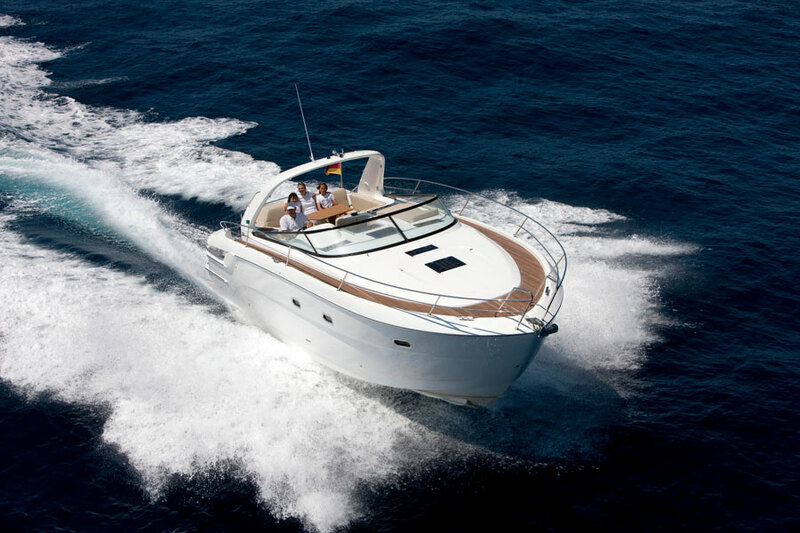 For the Sport 38 High Line, Bavaria developed an individual and distinctive design as well as new unique features. The silk-grey exterior and the classic navy cushions have been exclusively combined for this special model and bestow an exquisite overall look upon the boat. 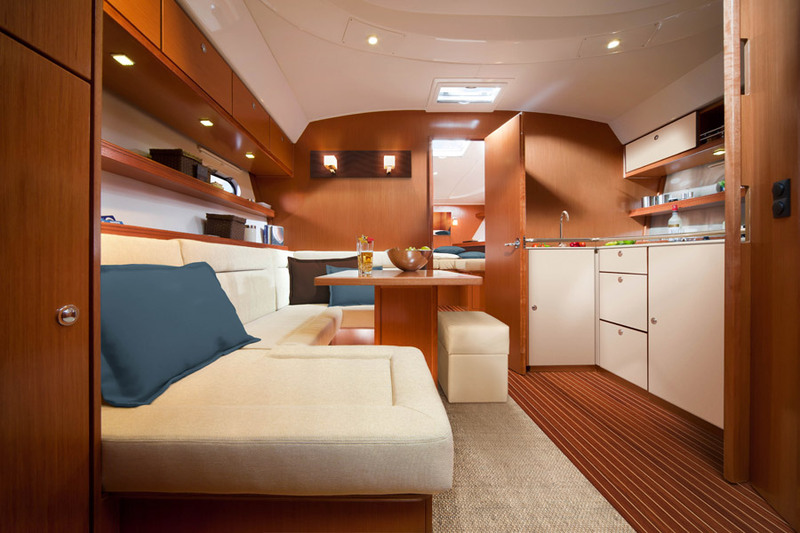 High gloss kitchen units and the luxurious carpet in the cabin add to the elegance of the yacht. The high quality audio package with speakers in the cockpit as well as the salon – usually available only at extra cost – is included in series and promises an extraordinary sound experience. The Sport 38 High Line is available from now on as open top version starting at 164.900 Euro net., with a hard top from 182.900 Euro net. 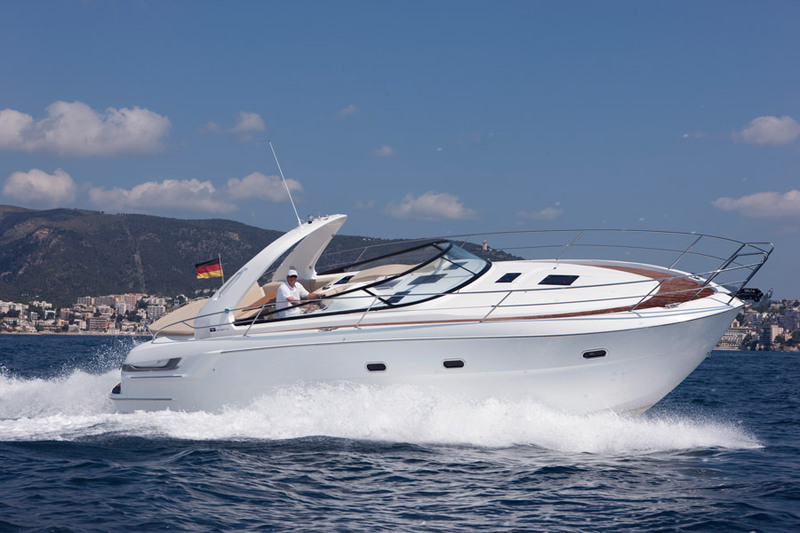 With the Sport 38 Cruiser, Bavaria combines dynamics and comfort in one model, designed with short coastal cruising in mind. 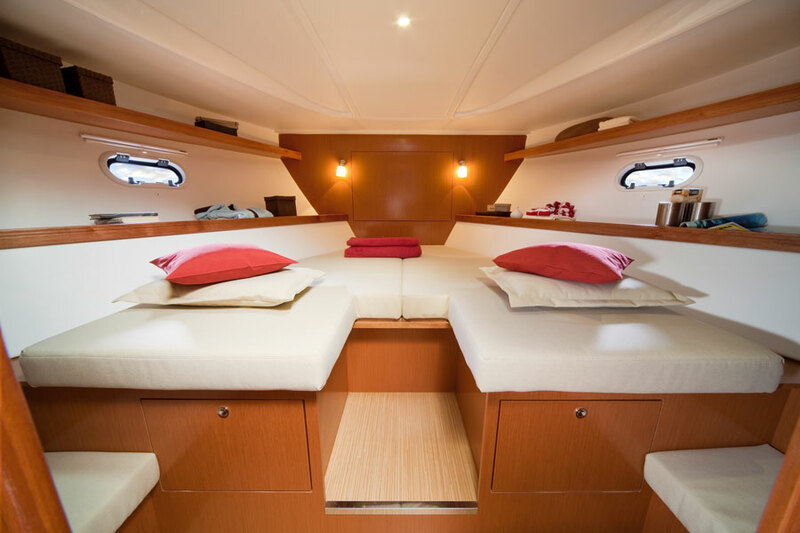 The yacht is equipped with an ergonomical wellness lounger and a big double bed, offering relaxation in the cockpit as well as below deck. 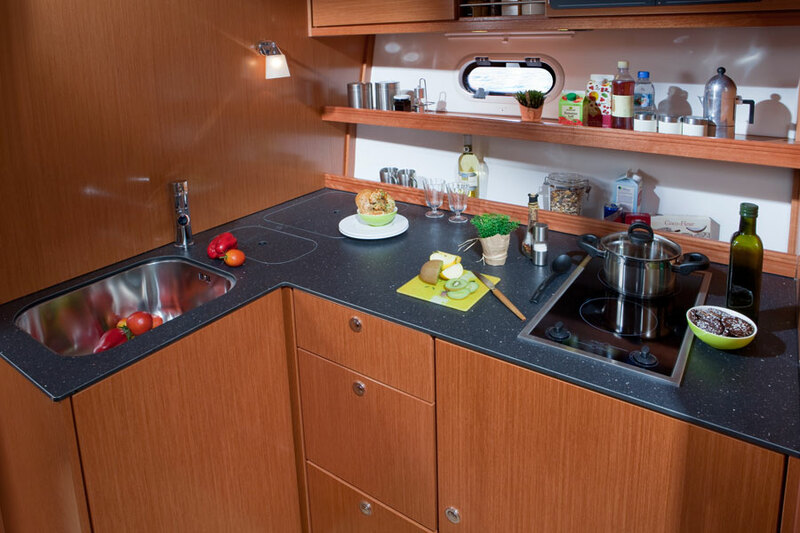 The extensive kitchen appliances and the further seating possibilities in two cabins create a comfortable atmosphere. 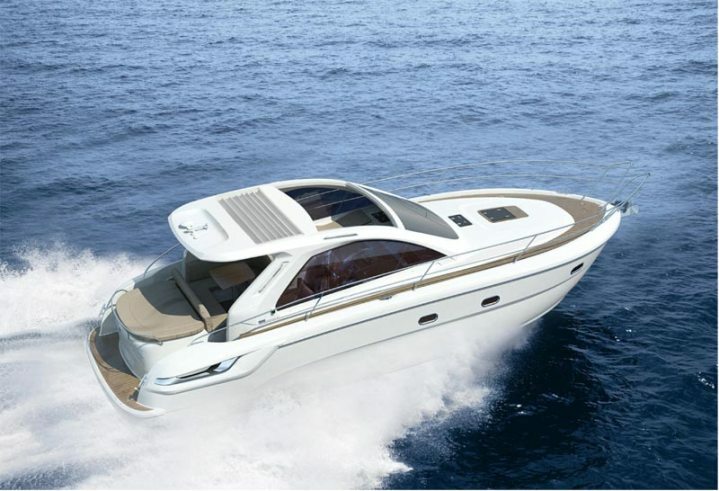 Due to its dynamic and powerful design, the boat is made for sporty drivers and is available either as open or as hardtop version with panoramic window. 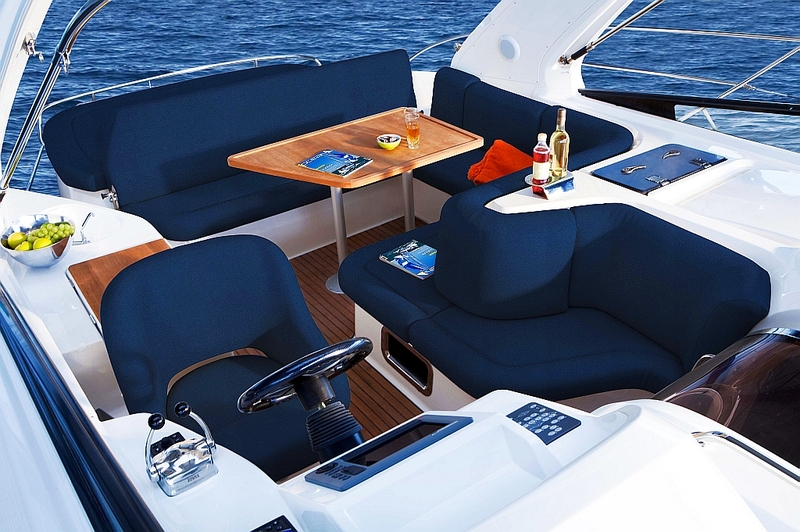 Bavaria continue to develop their sports cruiser range with a simplistic yet innovative design platform using quality materials to make you feel right at home. Bavaria followers will certainly be interested in the new model developments and especially the limited edition 38 version for those lucky 15.